For many, the act of walking across the stage to receive their diploma marks the pinnacle of their academic achievement. It is an incredibly exciting time and students sometime become caught up in the moment during the walk across the stage. This creates a considerable safety issue: while the graduate is looking up and waving at family and friends, their feet might not be going in the same direction. Several times per season, our photographers catch people falling off of the stage. To address this hazard, many of our partner schools are arranging flowers and other greenery - traditional stage decorations - to define the stage. When strategically placed onstage, plants act as a nice peripheral marking. Many stages are elevated and are lit differently than the surrounding area. At a time when students are in such an immersed state, flowers help visually define the walking area or the height differential. They also help hide monitor speakers, cords, and other stage essentials. Stage flowers can be purchased or rented from a variety of vendors. Some schools produce their own, as they may be part of class projects in certain cases. 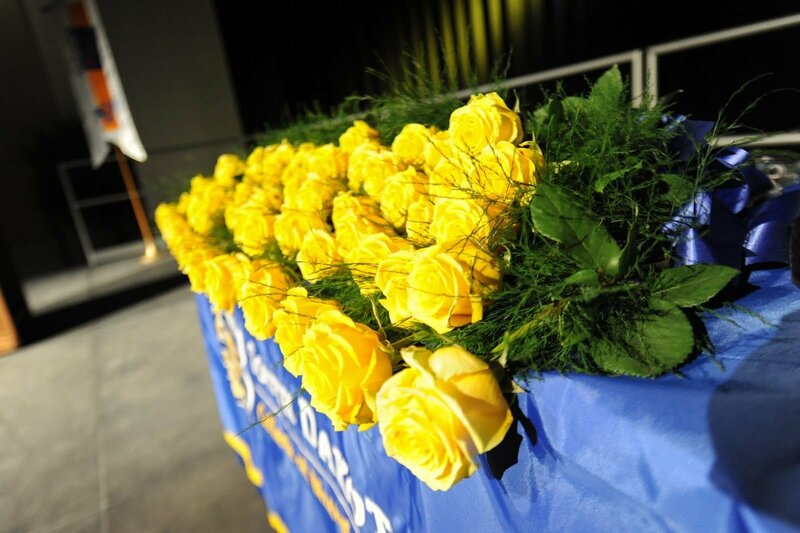 There are many ways to incorporate flowers into your institution’s commencement. For example, vendors could sell flowers to family and guests as gifts to graduates after the ceremony. In some cases, the vendor could be present at the venue, selling directly. Alternatively, flower distribution may be handled by a campus organization as a fundraiser or scholarship. Often in such situations, the final retail price is included in the client-vendor agreement. At many bigger ceremonies, the school gets the money; otherwise, the student government receives the funds. Some schools pass out a single flower to graduates as they exit the stage. This is could be sponsored by the alumni association, or just part of the ceremony or a school tradition. 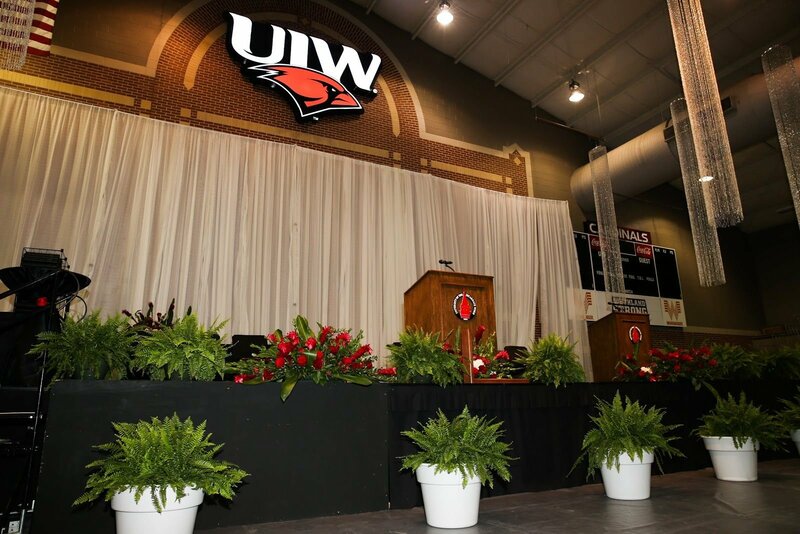 Flowers may also be used as a way of honoring different groups at the ceremony (e.g., faculty and staff), or to recognize a 50-year anniversary class. If the ceremony takes place on Mother’s Day, single flowers might be gifted to the mother of every graduate. In addition, returning alumni might be given a boutonniere (a ribbon in some cases).